Project Director: Katie Wheeler, Ed.D. This study examines whether extended participation in high-quality OST programs is positively associated with the development of literacy skills and social emotional learning skills. Funded by the Charles Stewart Mott Foundation, this research is taking place in Minnesota and Massachusetts. It is a partnership among four organizations: the American Institutes for Research (AIR); the National Institute on Out-of-School Time (NIOST); the Minnesota Department of Education; and the Massachusetts Department of Elementary and Secondary Education. Our goal is to follow youth who participate in these programs over the span of two consecutive years while enrolled in Grades 1 and 2 in Massachusetts and in Grades 4 and 5 in Minnesota. Findings will inform a better understanding of how extended participation in high-quality 21st CCLC programs is associated with growth and development of social-emotional learning skills and other essential skills and competencies measured over time, and development of key literacy skills. Principal Investigators: Georgia Hall, Ph.D. This ongoing evaluation initiative examines the impacts of participation in the Boston Summer Learning Program on school-community partnership development, youth summer learning loss, and blended learning practices. The evaluation uses a mixed methods approach and analyzes data from youth summer program staff, observations, and district level indicators. Project Director: Ellen Gannett, Ed.M. Project Associate: Brooke Harvey, B.A. NIOST and the AED Center for Youth Development and Policy Research have completed a strategic plan for workforce development for the out-of-school time field. We are currently conducting focus groups with the front line staff and directors of out-of-school time programs. With their input, we plan to finalize the recommendations in the strategic plan and begin dissemination and outreach efforts early this year. This strategic plan is the culmination of two years of targeted research, discussion, and investigation by NIOST and the Center in partnership with a national Advisory Committee. NIOST, which has traditionally focused on programs for school-age children, and the Center, which has historically worked on programs for older youth, have joined forces on this project in an effort to bridge the fields of school age care and youth work. There are great similarities in both the role they play in the lives of children, youth and families, and also in the construction of the fields themselves. By working together we are a louder and stronger voice for change. NIOST and the Center began the Building a Skilled and Stable Workforce project in January 2001 by identifying key individuals such as economists, policy-makers, advocates and funders from across the country to join an Advisory Committee to help inform and guide the development of the plan. The goal in choosing members for the committee was to have representation from a broad diversity of fields and sectors that would give the plan a thorough treatment of differing perspectives. The value of hearing from multiple perspectives from the beginning has resulted in a strategic plan that is inclusive of input from people who have been working on these issues and have made good strides and some new and unlikely potential allies. This plan has become illustrative of broad-based thinking from individuals who understand the complexity of tackling this issue. NIOST conducted an extensive literature review in order to gauge what data collection, workforce improvement models, public policy and advocacy efforts were already underway. In July 2001, NIOST and the Center co-hosted a National Youth Policy Forum, where the need for a "coherent national approach" to address the wage and professional development needs of youth workers was unanimously endorsed. Participants concluded that in order to effectively address the challenges within the out-of-school field, national, state and local strategies must be implemented. 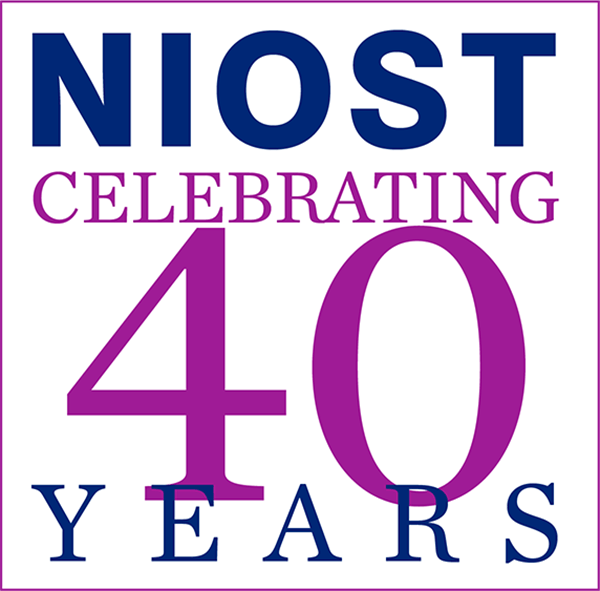 In April and October, 2002, NIOST and the Center convened additional Advisory Committee meetings to assist in the development of the strategic plan. The four points listed above helped to frame the initial meeting discussions and have been incorporated into this plan. In between meetings, NIOST and Center staff worked in task force groups to identify action steps in five areas: 1. Using data and research to make the case 2. Professionalizing the field 3. Learning from other fields 4. The true cost of financing 5. Building a movement These task force groups helped NIOST and the Center to crystallize the available information and to begin shaping a strategic plan that is reflective of the collective experience and wisdom of the group. This project is funded by the David and Lucile Packard Foundation. Project Director: Ellen Gannett, M.Ed. The National Institute on Out-of-School Time (NIOST) will provide expertise on out-of-school-time (OST) field-building, research support, and technical assistance delivery of the Healthy Out-of-School Time (HOST) Campaign. This initiative will promote best practices to OST providers in support of the Campaign Coalition to help enable them to develop strategies to implement the best practices in physical activity. Project Directors: Georgia Hall, Ph.D., Brooke Harvey, B.A. CityWorks was an initiative of the National Institute on Out-of-School Time (NIOST) working in collaboration with existing communities that provide high quality out-of-school time programming to youth and children. CityWorks aimed to build on the successful foundation of the "Cross-Cities Network for Leaders of Citywide After-School Initiatives" (CCN), which brings together leaders of after-school initiatives from 21 major cities across the United States. Through CityWorks, NIOST investigated the development of infrastructures that supported sustainable quality program outcomes, and through dissemination of Promising Practices improved the availability and preservation of out-of-school time programming. Cityworks also collaborated with the National League of Cities Institute for Youth, Education and Families to provide technical assistance to more cities and to provide Network members with technical assistance on working with city officials to further their initiatives. In bringing the experiences of stakeholders, service providers, schools, and community organizations together, NIOST learned and shared strategies for strengthening the infrastructure for out-of-school time activity including improving methods for recruiting and training providers, program development, establishing accountability/evaluation systems, and developing and sustaining financial support. By sharing best practices of the CCN, CityWorks sought to strengthen and enhance citywide after-school initiatives and the communities they serve. Provide published and web-based information to support the dissemination of Promising Practices including four topical briefs that spotlight new ideas and trends. There were four projected products from this collaborative: (1) a report describing the process of identifying, collecting, and evaluating and documenting Promising Practices related to systems-building and infrastructure development; (2) four issues of "After School Issues" researched, written, designed, and published by NIOST; (3) a "Meeting Notebook" which contains meeting logistics, supporting readings and documentation, and other technical assistance materials; and (4) technical assistance such as presentations, coaching, and facilitating a community vision or goal development process. The audience for these products will be members of CCN, policy makers, intermediary organizations, and practitioners. There are multiple benefits from this project. CityWorks will allow communities to have a full range of practices to learn from — relating to program, community and systems-building, and infrastructure development. Increases in the capacity of key leaders, including increased knowledge, access to information, and shared development of new approaches to implementing large after-school initiatives will result in increased effectiveness of the citywide initiatives. The influence of the leaders, the new strategies, and exploration of Promising Practices will lead to changes in the field, including new models, paradigms, and integrated visions. Through the collaboration with IYEF, the expertise and experience gained will be extended to a broader network of municipal leaders who will gain a deeper understanding of the challenges facing large scale citywide after-school initiatives. Ultimately, CityWorks will create a more knowledgeable and effective national community of leaders, enabling communities to create and sustain responsive and effective out-of-school time systems that positively impact children and families. The project was funded by the Charles Stewart Mott Foundation . Senior Research Advisor: Georgia Hall, Ph.D. This project connected high-level leaders from different cities and states to educate them on the dynamic landscape of after-school programs. in hopes of directing the influence, funding, and high expectations of these leaders towards a "critical mass" of associated initiatives across the country. To increase the capacity and knowledge of high-level leaders. To improve the effectiveness of citywide after school initiatives. 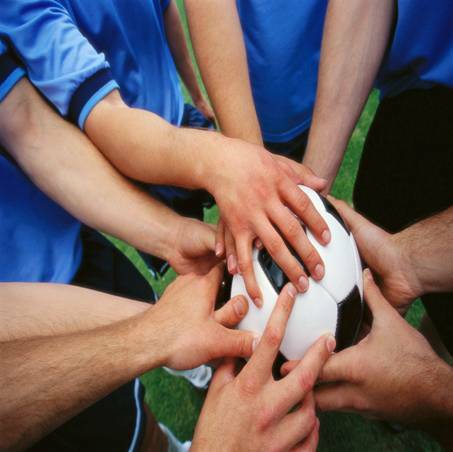 To contribute to the development of a coherent vision for the field at the national level. The landscape of after school programs is growing and changing at a rapid pace. Many leaders have influence, funding, and high expectations of results, but little in the way of signposts to guide them in reaching their goals. This is an opportune time to capture the synergistic potential of a group of creative, passionate leader-implementers, meeting their needs for knowledge, access to information, and engagement in high-level dialogue on major issues facing the field. The theory of change inherent in this project is that increasing the capacity of influential leaders will result in improved strategies employed in their own initiatives. We postulate that the presence of a "critical mass" of successful, associated initiatives will in turn influence policy development and programs at multiple levels across the country. The content, scope, and priorities of the CCN will be driven by the Network members, within the context of a communication system designed to provide continuous feedback for developing and refining strategies and activities. The creation of an effective network requires background staffing and support, careful crafting of materials, processes, and agendas to meet the needs of citywide leaders, and cutting-edge thinking to frame issues and develop typologies that help define the landscape. The National Institute on Out-of-School Time will fill these roles. The major external products from this project will be the topical briefings, initiative profiles, and policy research reports. The primary audience for these products will be members of the Cross-Cities Network. Secondary audiences will include: non-member citywide initiatives, intermediary organizations, practitioners, researchers, evaluators, and policy makers. There are anticipated outcomes for the project on three levels — leadership, local initiative, and field — which are linked through a theory of change. The first level, and the direct target level for the project, is the individual leader. The model hypothesizes that increases in the capacity of key leaders, including increased knowledge, access to information, and shared development of new approaches to implementing large after school initiatives will result in increased effectiveness of the citywide initiatives to which the leaders belong. The influence of the leaders, the new strategies developed by the group, and the impact of the initiatives themselves on the national landscape will lead to changes in the field, including new models, paradigms, and integrated visions. The Cross-Cities Network will develop in a context of intense activity in the field. We expect that the Network will serve as a conduit for learning from and connecting with other projects, initiatives, and funding streams. Linkages may occur at all three levels: between individual leaders as they build relationships in the context of the Network and become familiar with each other's existing professional contacts; between initiatives as they develop projects in partnership, adapt models, or reach out to new constituencies; and at the national level as Network members (and potentially the Network as a whole) become involved in leading-edge discussions, meetings, and projects. Project Director Georgia Hall, Ph.D. The National Institute on Out-of-School Time developed and piloted a science, technology, engineering and math (STEM) digital badge that connected existing student assessments with CitySpan’s web-based program management tool. The National Institute on Out-of-School Time has served as the research and evaluation study partner to BridgeUp: STEM an initiative of the American Museum of Natural History (AMNH) in Manhattan, New York. The focus of the study was on the delivery of Computational Science (CS) and science, technology, engineering, and math (STEM) learning experiences in the context of the education, science, and research resources of the AMNH to a cohort of New York City high school girls.The study included both summative evaluation components along with consultation towards program design and development during the start-up phase.The information collected, shared, and translated from this study and consultation was informative to BridgeUp: STEM and enhanced the quality of the initiative’s experiences for participating youth, families, and Museum staff. Project Director: Ellen S. Gannett, M. Ed. This funding will enable the National Institute on Out-of-School Time (NIOST) to: develop an online APT tutorial for programs initiating self-assessment and continuous program improvement; augment the interactive self-paced study tool the team is developing with support from the William T. Grant Foundation and the Massachusetts Department of Elementary and Secondary Education; and develop and disseminate materials nationwide to programs and stakeholders to build awareness of these new and renewed resources. The City of Cambridge hired NIOST for their general leadership and guidance and evaluation for the out-of-school time “Leading for Quality Initiative,” as well as facilitation of the executive level Communities of Practice. The goal of this project is quality improvement in Cambridge afterschool programs. NIOST began a partnership with the Massachusetts Department of Elementary and Secondary Education (MADESE) in 2001 to develop assessment tools and a menu of technical assistance activities to support the MA 21st CCLC programs. The result of a two-year effort was the creation of the Survey of Academic and Youth Outcomes for Staff and Teachers (SAYO-S&T). These are brief pre/post outcome instruments that allow programs to systematically collect valid and reliable data about youth from afterschool program staff and classroom teachers in nine outcome areas. (Pre/Post means the surveys are taken near the beginning of the program and near the end of the program.) The SAYO was the first of three tools of “A Program Assessment System” (APAS), which now includes a youth survey (SAYO-Y) and a quality assessment tool (APT). With the development of the SAYO tool, NIOST began a long-standing partnership with MADESE to build its assessment capacity as an agency, and also to build the capacity of their statewide 21st CCLC grantees to understand program evaluation and assessment tools, to learn how to administer surveys and conduct program quality assessments appropriately, to learn techniques for analyzing, interpreting and using quality and outcome data, and to work with staff to engage in continuous quality improvement. Over the years, NIOST has developed and delivered many statewide training workshops, web-based training, and extensive training materials and guides. NIOST continues to be the technical assistance provider to MADESE to support 21st CCLC programs in over 40 school districts and related programs in continuous quality improvement and documentation of youth outcomes. The Massachusetts Afterschool Research Study (MARS) is a statewide study examining the links between afterschool program quality and student outcomes, and the efficacy of various models of afterschool for youth. United Way of Massachusetts Bay is collaborating with the Massachusetts Department of Education and the Massachusetts Office of Child Care Services to manage the study, which will be conducted by the National Institute on Out-of-School Time (NIOST) at the Wellesley Centers for Women, Wellesley College, in partnership with the Intercultural Center for Research in Education (INCRE). MARS aims to create consensus around the elements of program quality, features, and participation that contribute to positive outcomes for youth, so that funders, providers, advocates, and policy-makers are better prepared to expand the quality and availability of afterschool programs. Public and private funders will have the information they need to focus resources on effective program elements; providers will be able to make ongoing quality improvements; and policy-makers will have a reliable foundation on which to base their commitment to afterschool. Principal Investigator: Ellen Gannett, M.Ed. Project Director: Kathy Schleyer, M.S. NIOST is one of four organizations that together comprise the National Center on Afterschool and Summer Enrichment (NCASE). This collaborating entity exists to provide technical assistance (TA) to states, territories and tribes that utilize the Child Care and Development Fund (CCDF) to support access to out of school time programs by low income families. This funding is managed by the U.S. Office of Child Care under the U.S. Administration of Children and Families. NCASE is one of nine national TA centers serving birth through school-age children. NIOST contributes to webinars, peer learning communities, curation of an online resource library and other virtual TA. In addition to NIOST, the NCASE partners include Educational Development Center (lead), The National Summer Learning Association and WRMA. Project Director: Ellen S. Gannett M. Ed. This award provides funding for an Afterschool Matters Initiative Practitioner Fellowship group in New York City from fall 2014 to fall 2015. This group will expose 12-15 Fellows working with older youth to the world of inquiry research, and help them examine their own practices. Each Fellow will produce a paper or other product at the end of the process. The Fellows will be energized by their research and learning, becoming part of a strong network of professional out-of-school time workers in the New York Community. provided an analysis of the “debate” approach and activities as an example of "democracy in action"
There is a good amount of literature describing the elements of debate and how skills developed in debate may transfer to other endeavors — such as creating a stronger foundation for academic achievement, etc. The purpose of this study was to look deeper into how youth actually experience the democratic ideals and skills that form the foundation of a debate program, and in what ways those experiences influence the youth's understanding of, participation in, and consideration of democracy. The National Institute on Out-of-School Time partnered with The Forum for Youth Investment as champions for action with the Career Pathway's sites in San Diego and Long Beach, California. This included leading research aspects of the project as well as working to anticipate the site's needs for information, support and tools in a variety of areas. The Next Generation Youth Work Coalition brought together individuals and organizations dedicated to developing a strong, diverse after-school and youth development workforce that is stable, prepared, supported and committed to the well-being and empowerment of children and youth. We believe that this entails progress in at least five key areas: standards and competencies; professional development and training resources; learning delivery systems; career ladders and compensation guidelines; and research and evaluation systems. Click here to access a PDF file with more information about the Coalition. Click here to access a PDF with a review of Youth Work Core Competencies. This project is a targeted effort to increase peer-reviewed literature in the field of Out­ of-School Time (OSD physical activity and healthy eating. In partnership with PEAR (Program in Education, Afterschool, & Resiliency) and the National AfterSchool Association, Georgia Hall, Ph.D., of the National Institute on Out-of-School Time (NIOSD at Wellesley Centers for Women and Jean Wiecha, Ph.D. of RTI are editing a special issue of New Directions /or Youth Development (NDYD), which will feature manuscripts regarding the impact of obesity and chronic disease risk reduction interventions that take place in OST program settings. Its purpose is to synthesize evidence to date and to inform future research and policy activities. Project Directors: Georgia Hall, Ph.D. The National Institute on Out-of-School Time (NIOST) will use electronic surveys and individual interviews along with reviewing electronic learning modules to evaluate a new online learning program. Principal Investigator: Kathy Schleyer, M.S. Following years of support to the city of Philadelphia, NIOST is consulting with their Citywide Out-of-School Time Initiative (COI) on quality practices and early literacy. The project goal is to develop a professional development framework that will support specific program practices and enhance current system-building efforts. The project involves multiple stakeholder convenings and collection of information from out-of-school time practitioners, leaders in the field, and COI partners. NIOST will provide COI with a literature review, early literacy pilot recommendations, and a professional development pathway that will inform Philadelphia’s ongoing work. The Primary goal of the Out of Harm's Way (OHW) Initiative is to address the escalating violence in a subset of middle schools in the Boston Public Schools by offering comprehensive services and care, and increasing the participation of students in after school programming. Wellesley Centers for Women and the National Institute on Out-of-School Time would perform as the project evaluator. This project will focus on the BOKS program, which aims to improve kids' academic performance and overall health using physical activity to jump start children's brains in the morning. Georgia Hall, Ph.D. will direct a multi-year Physical Activity Study in the Natick Public Schools (Natick, MA) with a special investigation of the BOKS (formerly known as Fit Kidz Get Up & Go) before school physical activity program. The BOKS program aims to improve kids’ academic performance and overall health using physical activity to jump start children’s brains in the morning and better equip them for learning, increasing opportunities for kids to be physically active and fit, and creating healthier habits for children to achieve life-long fitness. Focusing on grades K-2, a team of NIOST researchers will examine and document child-level academic, social, nutrition knowledge, and physical outcomes associated with participation in BOKS over time. Co-Principal Investigator: Jean Wiecha, Ph.D. Team Members: Georgia Hall, Ph.D., Jean Wiecha, Ph.D. (University of Massachusetts), Ellen Gannett, M.Ed., Barbara Roth (YMCA of the USA), Julie Dennehy, M.M., Diane Gruber, M.A. Energy balance and appropriate physical activity are critical to preventing obesity and associated cardiometabolic morbidity. In the United States, 6.5 million children attend out-of-school time programs annually, participating in roughly 3 hours per day of activities typically including homework, snack, and gross motor play. If out-of-school time programs can provide appropriate snack and physical activity choices, they can be an important component of the campaign against childhood obesity. There is a window of opportunity to infuse more rigorous content and provide guidance and language in the National Afterschool Association standards for physical activity and healthy eating. Disseminate information on effective implementation of high quality standards, through a comprehensive report, study briefs, and presentations at national conferences. Lay the groundwork for a subsequent Phase 2 project to re-assess the program cohort and develop a tool kit to help all OST programs implement the rigorous science-based standards for physical activity and healthy eating. 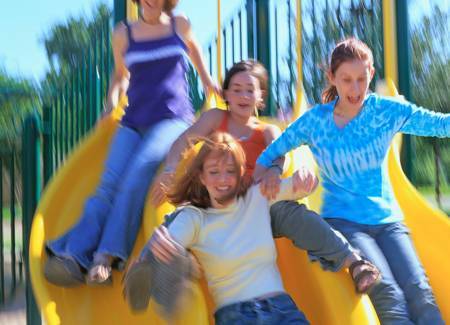 This is a mixed-methods research study using a sequence of quantitative and qualitative data collection methods and multiple regression modeling to examine program characteristics associated with providing healthy eating and physical activity opportunities in a national sample of out-of-school time programs. Effective practice will be operationalized through the application of a field-tested research-based survey reflecting current standards and guidelines established through expert sources such as the Center for Disease Control and Prevention and the National Academy of Science - Institute of Medicine. Data will be collected in ten regions representing a mix of geographic locations, urban/suburban/rural communities, school district sizes, and variety of out-of-school time programs. The sampling frame will be comprised of programs with diverse demographic school district profiles and large percentage of students eligible for free/reduced lunch. The survey sample will include 80-100 programs within each region (500+ total) and Exemplary Program Observations at 30 of these programs. Principal Investigator: Kristen Fay, Ph.D. This study evaluated the Regular AfterZone and AfterZone Summer Scholars programs. These mixed methods evaluations of the Regular AfterZone and AfterZone Summer Scholars programs are designed to measure process and academic and psychosocial impact outcomes among middle school youth enrolled in these programs. Data from students, teachers, observations, and district level indicators were collected and analyzed. The National Institute on Out-of-School Time is serving as the research and evaluation study partner to BridgeUP: STEM an initiative of the American Museum of Natural History (AMNH) in Manhattan, New York. BridgeUP: STEM is a portfolio of educational and public programs focused on teaching computer science through the lens of science. Funded by a generous 5-year, $7.5M gift from the Helen Gurley Brown Trust, these programs are focused on changing the ratio of women and minorities in STEM. In January 2015, BridgeUP: STEM launched the Brown Scholars Program, an intensive experience for cohorts of 9th and 10th grade girls, that uses science and scientific data sets to instill fluency in computer science and technology through the context of life sciences. Cohorts of New York City high school girls, known as Brown Scholars, are selected based on competitive application to the program. The BridgeUP: STEM program coursework was designed to introduce participants to the basics of computational science, and, in particular, how data is used, analyzed, and visualized in the natural sciences. The BridgeUP: STEM program content for both cohorts included coursework in Python programming language, group projects, mentorship, field trips, and presentations by Museum curators and researchers. In addition there is a Middle School one-week intensive program. Since the BridgeUP: STEM program commenced NIOST has been investigating impact at the participant level for both high school and middle school. We are examining change in attitude and interest about STEM/CS/Technology, engagement in STEM/CS/Technology pathways, expansion of content knowledge, interest in STEM/CS/Technology career connections, and aspirations. The research team expects the information collected, shared, and translated from this study and consultation to be informative to BridgeUP: STEM and enhance the quality of the initiative’s experiences for participating youth, families, and Museum staff. NIOST is the research and evaluation study partner to BridgeUP: STEM, an initiative of the American Museum of Natural History (AMNH) in New York. BridgeUP: STEM is a portfolio of educational and public programs focused on teaching computer science through the lens of science. Funded by a gift from the Helen Gurley Brown Trust, these programs are focused on increasing the ratio of women and minorities in STEM fields. BridgeUP: STEM launched the Brown Scholars Program, an intensive experience for cohorts of 9th and 10th grade girls that uses science and scientific data sets to instill fluency in computer science and technology through the context of life sciences. Cohorts of New York City high school girls are selected through a competitive application to the program. The BridgeUP: STEM program coursework was designed to introduce participants to the basics of computational science, and, in particular, how data is used, analyzed, and visualized in the natural sciences. The program content included coursework in Python programming language, group projects, mentorship, field trips, and presentations by Museum curators and researchers. In addition there is a middle school one-week intensive program. NIOST has been investigating impact at the participant level for both high school and middle school since the program commenced. We are examining change in attitude and interest about STEM/CS/Technology, engagement in STEM/CS/Technology pathways, expansion of content knowledge, interest in STEM/CS/Technology career connections, and related aspirations. The information collected, shared, and translated from this study and consultation will be informative to AMNH and the BridgeUP: STEM program, and will enhance the quality of the experiences for participating youth, their families, and Museum staff. The Spring 2017 issue of Afterschool Matters is now available, with articles focused on STEM, care work, and teen agency. NIOST is a partner to the U.S. Department of Education, 21st CCLC Program along with Global Evaluation & Applied Research Solutions, Inc. (GEARS). GEARS and NIOST are providing the U.S. DOE with fiscal, analytic, and logistic services for grant compliance monitoring and data gathering for program improvement and provide technical expertise to SEAs to assist in carrying out their responsibilities of 21st CCLC program implementation. This work includes fiscal, analytic, and logistics support in conducting compliance monitoring through quarterly calls, and virtual and onsite reviews; providing technical expertise to grantees on topics proven to assist SEAs in successful implementation of a statewide 21st CCLC program; and logistic support for convening stakeholders.